Valley Lodge & Spa has activities and facilities in Magaliesburg to make your stay as convenient and leisurely as possible. 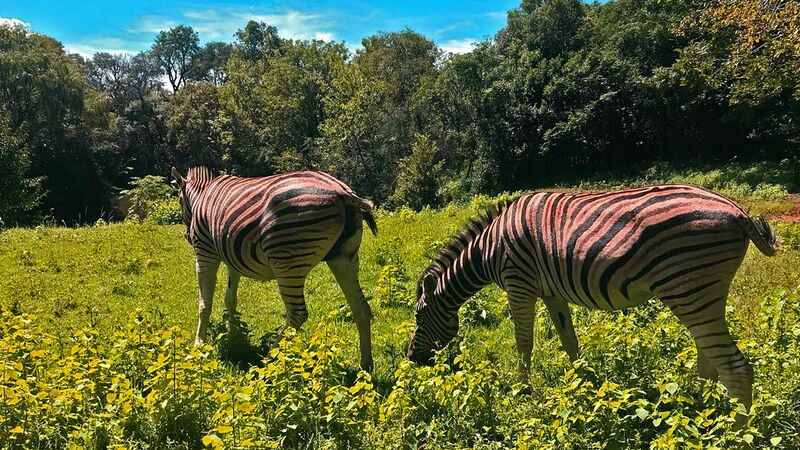 Explore the vast grounds of Nature Reserve either in solitude or in the company of friends and discover the many mammal species including the Burchell’s zebra, impala, rock hyrax (Dassie), vervet Monkeys and lesser Gglagos (Bushbabies). The river and dam is stocked with many fish species including yellow fish, catfish, carp, large-mouthed bass, vlei Kurper and tilapia. A croquet set is available on request from the Front Office Department, which can be set up on the Meadows for a knock around. Up for a challenge? We have a set of metal boule balls available at Reception for guests use. This game is played outdoors, preferably on the grass area – a few bumps and hollows can add more challenge to the game. Looking for something to occupy yourself with during those Summer thunderstorms? Reception have a selection of board games available which includes Jenga, backgammon, trivial pursuit, thirty seconds, scrabble and cards. The Lodge has an abundance of bird life and is a birdwatchers’ paradise with hundreds of species having been identified and listed. Picnic hampers and private corporate lunches and dinners are often served at the bird sanctuary or alongside the river. Within the property grounds we have four walking trails for guest use – Steenkoppies Trail (3.5 km), Zeederberg Trail (3.5 km), Riverine Trail (1.5 km), and the easy stroll Bird Sanctuary Trail (500 meters). Explore the grounds that have shaped mankind during the past two million years either in complete solitude or in the company of friends. Follow their journey on a number of well-marked trails through the vast grounds that are enhanced by the breathtaking beauty of the stark scenery and the many animal species that live here. With the abundance of animal and bird life there is always an opportunity to catch that one-in-a-million shot. Be patient and the natural abundance will reward you. Boats and canoes are available for those that prefer rowing on the river or the bird sanctuary dam. Kindly note that this service is not supervised and will be at your own risk. Book with us now to experience Valley Lodge & Spa’s activities and facilities in Magaliesburg area.